One of the main hindrances when it comes to building a home is wet weather, something we are no stranger to in Texas! It only takes a little bit of rain to saturate the ground and make the lot unfit to build on until it dries out. When facing the issue of a saturated lot, you have a few options to consider in order to get the lot suitable for construction. To dry out a wet lot, assuming of course that the trees have been cleared and the lot is free of debris, your first step is to ensure the sitting rain water (if any) and/or water runoff have a place to go. If the property has a natural slope, then you probably don't need to do anything. If not, however, then you'll need to create a swale or drainage ditch to provide an exit for the excess water. Keep in mind that water will take the path of least resistance, so take into consideration the topographical slope of the property from all points. Wait for plenty of sunny weather. As long as the rain water and runoff have somewhere to go, and the rain holds off, then the sun will - eventually - dry out the land. This option is free in monetary cost, but can take quite a bit longer than other options, and there is no guarantee on timeline. If your circumstances dictate time, whether for construction contract or loan constraints, rental situation, or personal timeline, this may not be the best option for you. Mix in fly ash. Fly Ash is a soil amendment that can be added to the lot in order to modify the existing properties of the soil; according to FlyAshDirect: "Fly ash serves as a drying agent for soils that are too wet to achieve the required density. The drying effect of fly ash in wet soil occurs rapidly, allowing you to quickly proceed with construction activities. Fly ash also makes soil more resistant to water infiltration." All you have to do is till up the wet soil and mix in the fly ash to physically soak up the water. Excavate saturated soil and replace with select fill. Select fill, a specific mixture of sand and clay, has a low to medium plasticity index (PI) and can be used to replace highly expansive soil that is common in south Texas. Additionally you could mix in some fly ash for some added boost here, too. Once the soil is dry, you can compact it to 95% (or better) with 6” lifts, or layers, and then proof roll. 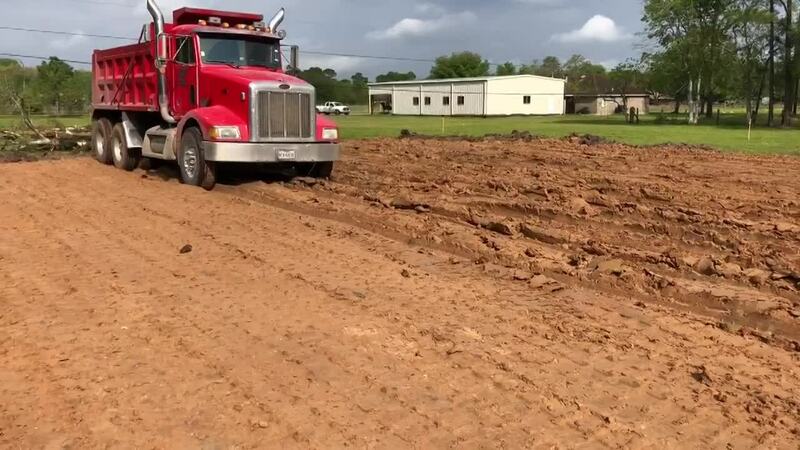 As shown in the video, one way to "proof roll" is to drive a fully loaded dump truck, very slowly, over the entire area of compacted soil. The purpose is to check for any wet, soft, or loose areas on the home site. Finally, a compaction test, signed off by a geotechnical engineer, will tell you when your lot is dry enough. 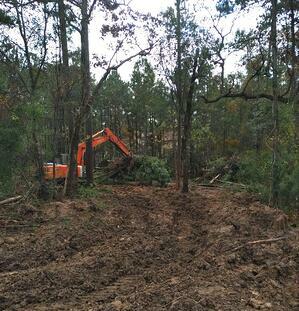 A saturated lot will not pass a proof roll OR a compaction test. Once both are passed, the forms of the foundation can be set for the home! For more home building tips or information on related news and topics, visit our website or check out our blog. At Kurk Homes, we are #BuiltOnTradition and have been designing and building from the Gulf Coast through the Hill Country for over 30 years. Feel free to get in touch with us to ask us as many questions as you may have regarding building your beautiful new home. © 2017 Kurk Homes. All rights reserved. Site Design & Hosting by Johnnyo Design.